If there were an Emmy Award for most adorable cast, the honor would clearly go to the Netflix hit show Stranger Things. 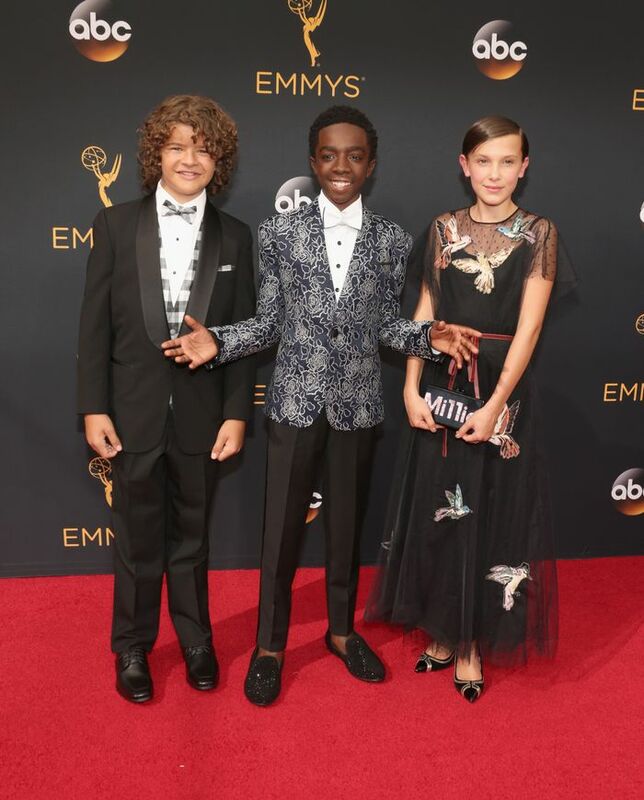 Three of the thriller's stars—Gaten Matarazzo, Caleb McLaughlin, and Millie Bobby Brown Brown—walked the award show carpet together, each showing off their own adorable and eye-catching personal style. Sure, the show takes place in the '80s, but for tonight's award ceremony, the looks were all about modern elegance. For Matarazzo and McLaughlin, the night called for snazzy suits featuring eye-catching plaid and floral details. They may be young, but the duo showed major flair. Meanwhile, Brown chose a tulle Red Valentino dress embroidered with birds and carried an Edie Parker clutch bearing her name. While we have to say that each of the trio looked pretty darn stylish individually, their cutest accessories were clearly each other. Read on to see their adorable red carpet style, and then shop pieces from Red Valentino! On Millie Bobby Brown: Red Valentino dress; Edie Parker clutch. Want more inspiring Emmys style? Check out all the looks everyone will be talking about!